Have you been a survivor from a catastrophe? Surviving from a typhoon has never been easy and makes you resort to do things just to survive. But have you lose hope? "There’s a time for everything. A time to tear down … and a time to build." 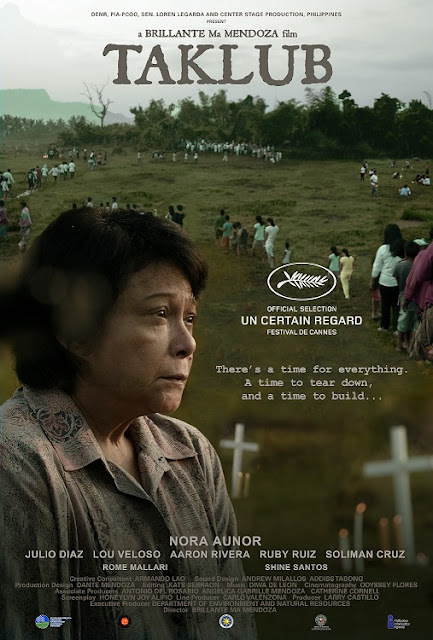 Bebeth (Nora Aunor) searches for the remains of her three children in the hopes that any identified records could match a DNA test from those buried at the mass grave. Larry (Julio Diaz) lost his wife and consoles himself by joining a group of devout Catholics carrying a life-size crucifix around the city. Erwin (Aaron Rivera) and his elder brother try to hide the truth of their parents’ death from their little sister. As if grieving from the loss of their loved ones is not enough, a series of events, both man-made and natural, continue to test the endurance of the characters along with the rest of the people, waiting for a time to wipe those slow repugnant tears. A one hour and thirty-two minute film written by Honeylyn Joy Alipio and directed by Brillante Ma. 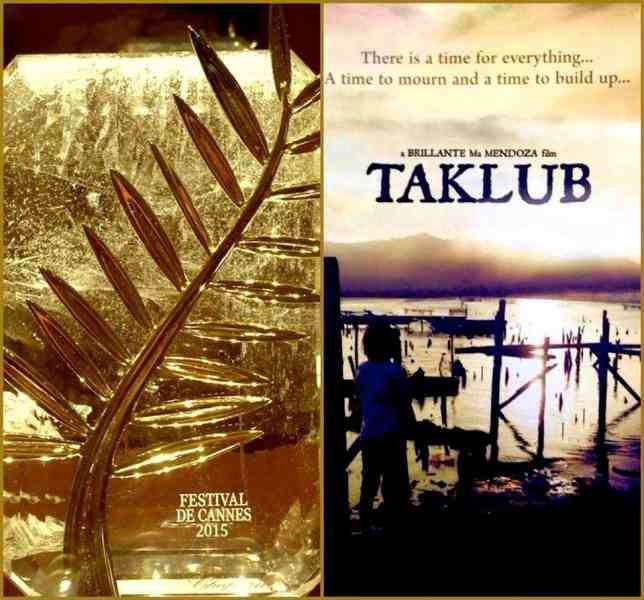 Mendoza, Taklub is a story of three major characters - Bebeth, Larry and Erwin, whose lives intertwine after super typhoon Haiyan left the city of Tacloban in a horrendous state. They search for the dead while trying desperately to keep their sanity intact, and to protect what little faith may have.